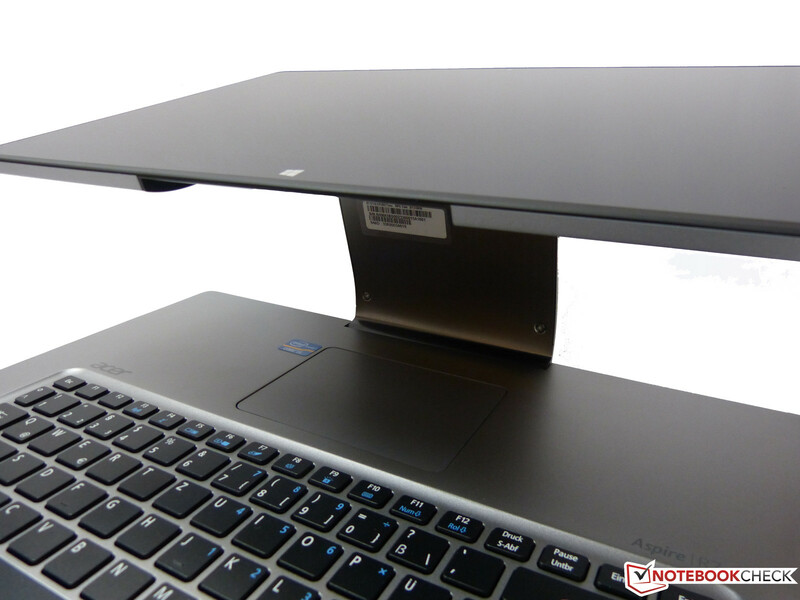 The Acer Aspire R7-571G-53338G75ass does it differently: instead of a rotating the display around a horizontal or even vertical axis, the new notebook incorporates Acer's patented Ezel hinge. 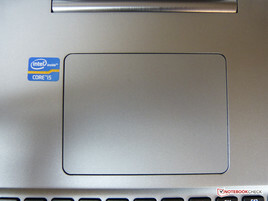 The position of the touchpad and the keyboard are reversed, as the former now resides directly in front of the display, while the latter is pushed all the way to the front edge of the notebook. A traditional palm rest is missing. 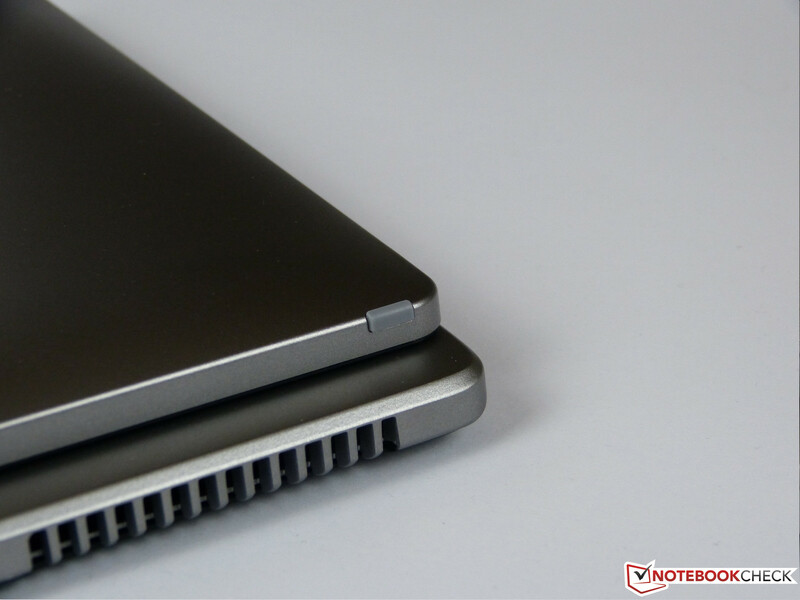 What makes our review model stand out is not the hardware: after all, an Intel Core i5-3337U and 8 GB of RAM are pretty standard fare even for subnotebooks. The dedicated Nvidia GeForce GT750M is a little more out of the ordinary and probably a tribute to the size, weight, and price of the convertible. The main focus of the R7-571G is the IPS display, which not only supports Full HD, but also offers touchscreen functionality. 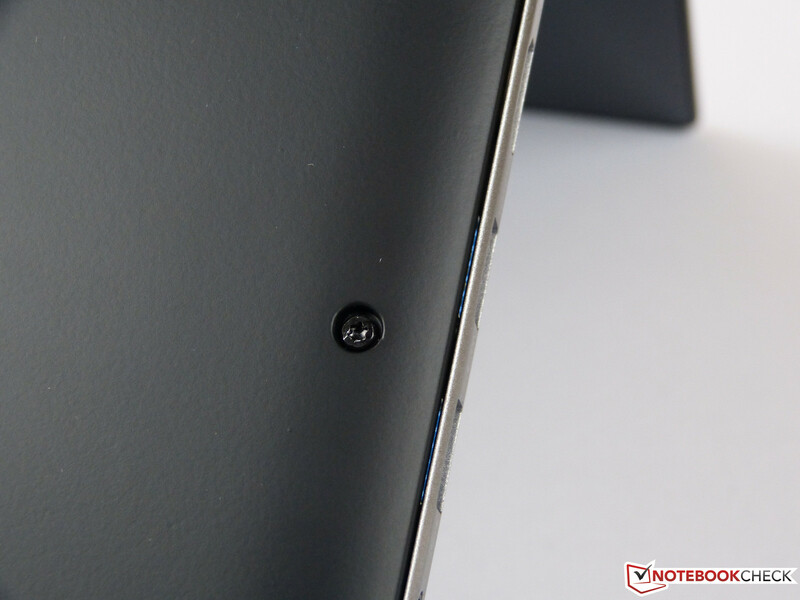 Acer does not specify a target user group for the Aspire R7-571G. The TV commercial highlights both business as well as home use and emphasizes - surprise, surprise - the new hinge design. For our review, we will follow suit and discuss the display, the hinge, and the reversed touchpad and keyboard combination in more detail, while keeping the hardware part a bit shorter. 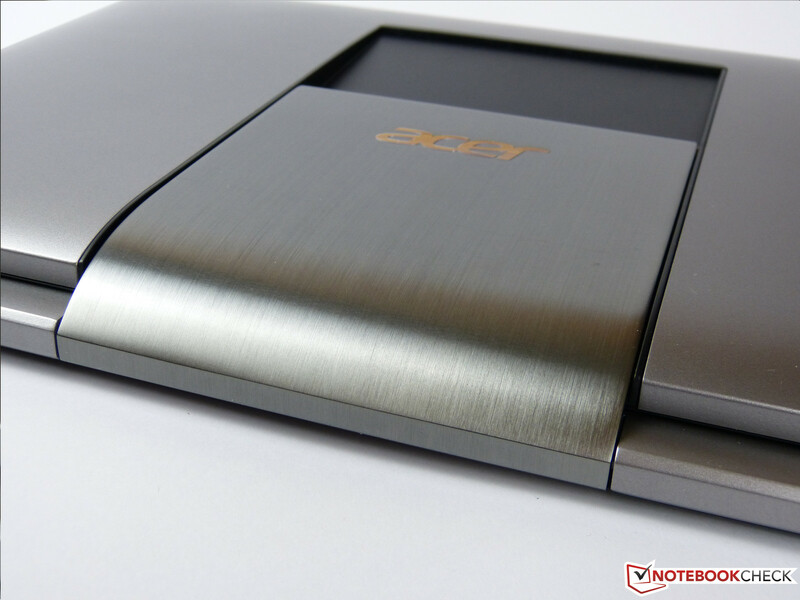 The chassis of the Acer Aspire R7 makes a very good initial impression. Both the deck of the base unit as well as the outer shell of the display lid are matte silver in appearance. The underside is black plastic, which feels slightly rubberized, while the rest of the notebook appears to be made from a magnesium and aluminum alloy. Of course, we cannot conduct a chemical analysis to check the actual makeup, but the sturdiness of the base unit certainly supports that notion. The lid has some give when twisted but is still quite resilient. 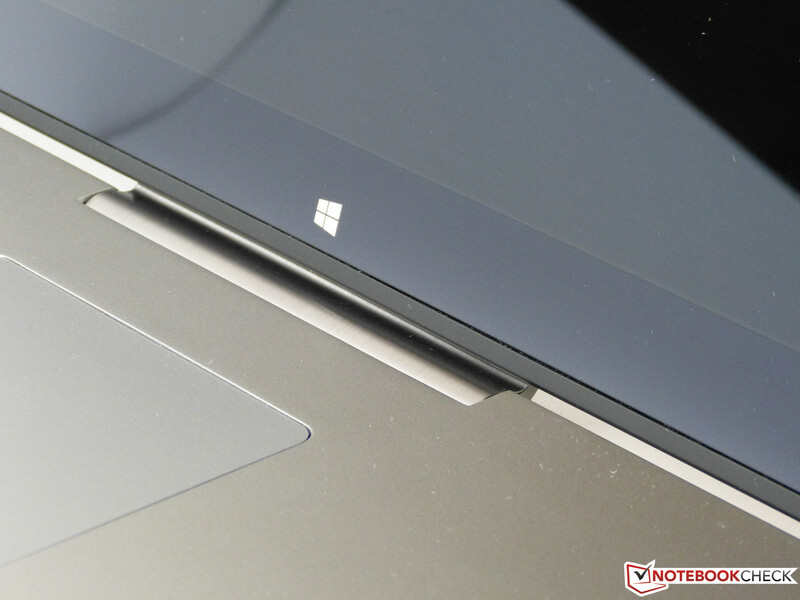 Only the bezel and the display itself are glossy, the rest of the notebook features matte surface areas. The Ezel hinge manages to hold the display quite securely, although larger potholes can cause a change in position. It is easy to turn the display with both hands; one-handed twisting is also possible, albeit a bit more difficult. The build quality is very good and all corners are nicely rounded. We can't find much to complain about: the combo audio port doesn't quite sit in the center of the cutout in the chassis and the Dolby speakers on the left lower edge of the base units are not quite flush, although that's hard to see with the naked eye. One area deserves more criticism: the right side of the convertible is home to the plastic volume control switch. Unfortunately, the switch is not anchored securely and has about one millimeter of play to the left and to the right. The weight of 2.5 kilograms (~5.5 pounds) is still reasonable for a 15-inch notebook. Users planning to take advantage of the tablet functionality on a regular basis should consider the weight, however: it might get tiring for the underarms when the convertible is used in that fashion for extended periods. 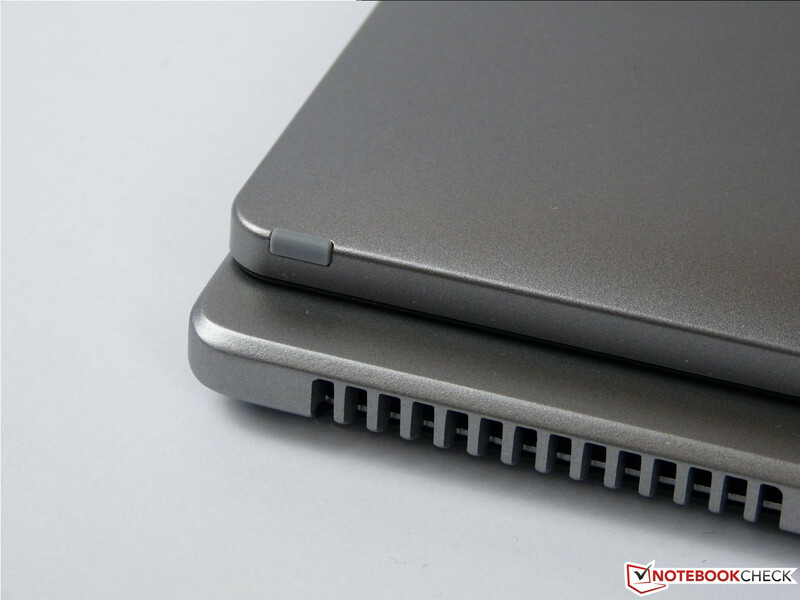 Since the Acer Aspire R7-571G is lacking an optical drive, the sides are comparatively bare of ports. The left side houses the audio combo port, two USB 3.0 ports, and HDMI. VGA is missing, but an included adapter cable allows the Thunderbolt port to take over this duty. An adapter cable also enhances the functionality on the right side, as a dedicated LAN port is missing. An RJ45 adapter cable plugs into the USB 2.0 port on this side and allows cable-bound network connections. Left to this port there is a card reader and - typical for tablets - the power button and the volume control. Last but not least, the right edge is home to the power jack and the Kensington lock slot. The more "massive" connectors are located on the left edge, which benefits right-handers. The power connector on the right side does not require a lot of space due to its right-angle design. The downside of this arrangement: left-handers have less room to work with, especially with an external mouse plugged in. Neither the front nor the back edge features any ports. 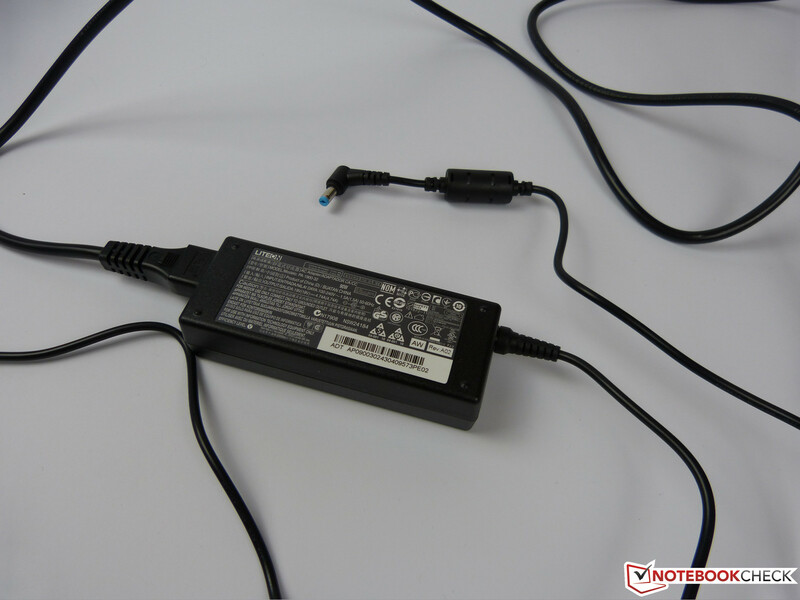 Our review model primarily relies on wireless connections, as the cable-bound connectivity requires the use of the previously mentioned adapter. The Acer R7 ships with a Broadcom BCM43228 module, which allows all common WLAN-Standards (a / b / g / n). 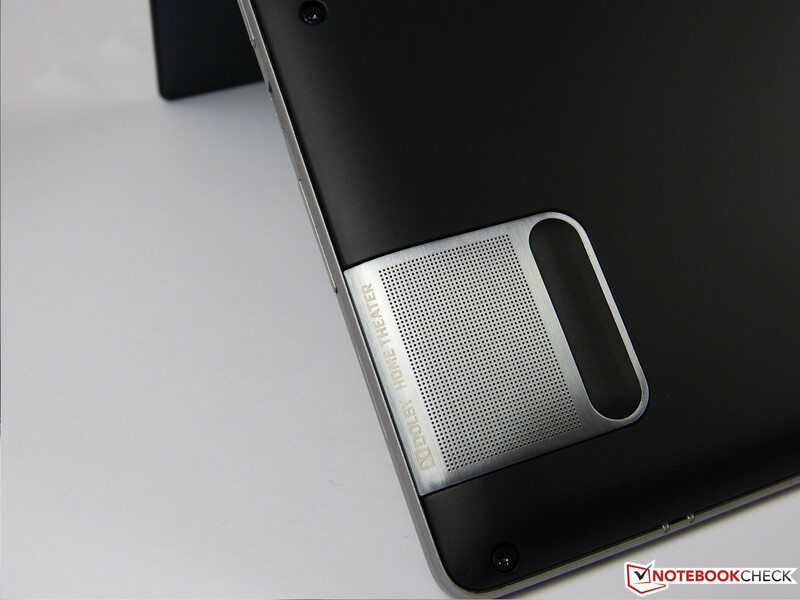 The notebook also features Bluetooth 4.0 for connections to peripherals and accessories. During our review period, the WLAN module did not function particularly well. Initially, no networks could be located; later, the connection was dropped repeatedly. 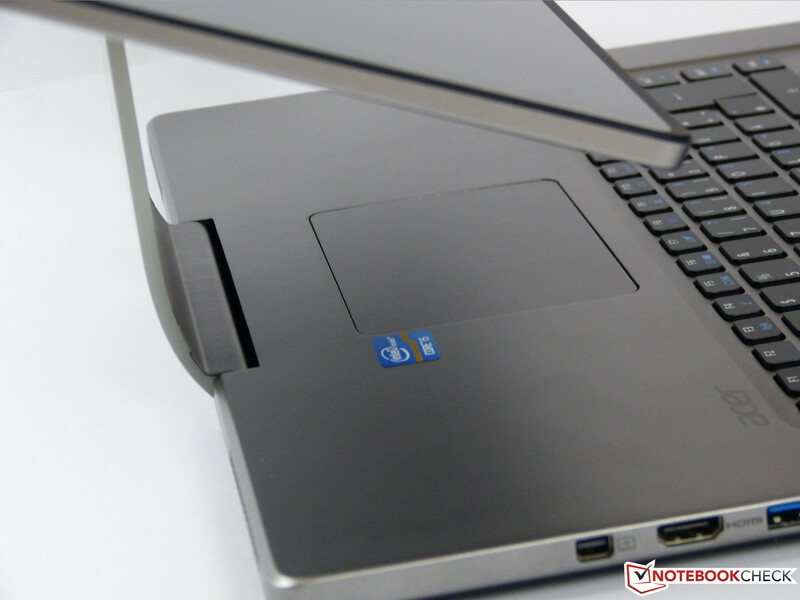 In addition, signal strength and thus reception quality seems to decrease more than what we commonly see: at a distance where other notebooks still maintained connection speeds of up to 3 MB/s to our wireless router, the R7-571G topped out at 400 KB/s. This issue does not seem to be isolated to our review unit, as many users report the same problem in the comment sections of online stores and in Acers' own forum on their website. At the time of writing, Acer did not offer a fix. Acer does not skimp on accessories: in addition to the aforementioned adapters, the company includes a stylus for the capacitive touchscreen, a quick-start guide to aid the user in setting up the notebook, and a wireless external mouse. 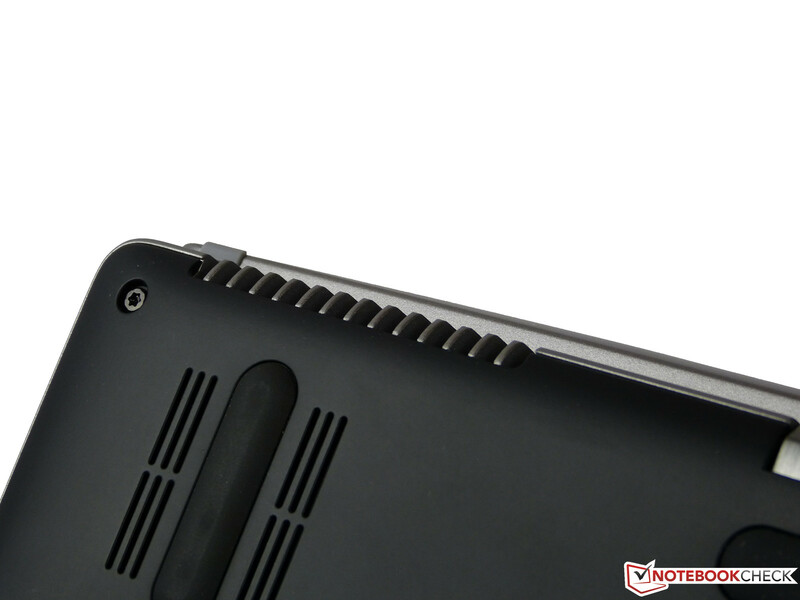 Access to the internal components not only entails the removal of the ten visible Torx screws, but also requires the user to remove a rubber bumper, which hides three additional Torx screws. To avoid damaging our review notebook, we rely on external source for the disassembly: according to that source, both the RAM module and the hard drive can be replaced. 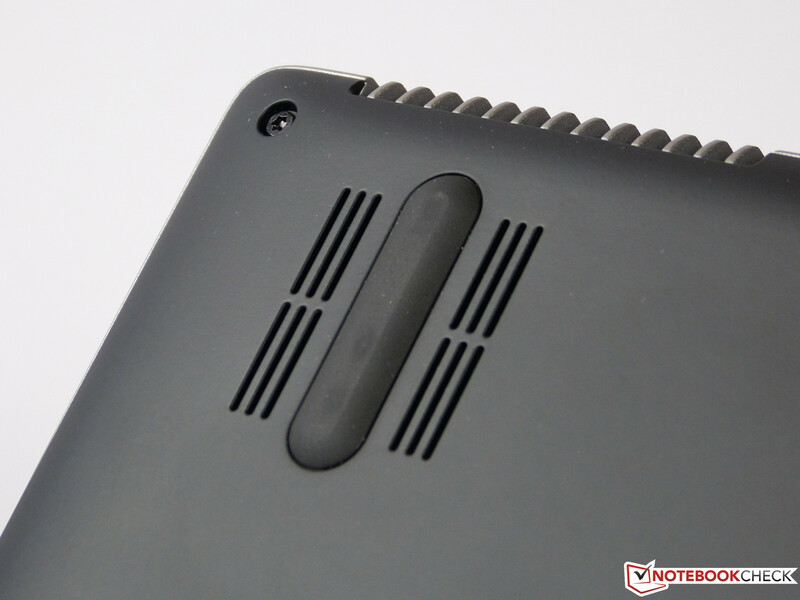 In addition, the notebook also features an mSATA slot, which should make quite a few users happy. After the bottom plate is removed, the battery can be replaced, should it become necessary. In Germany, most online shops sell the Acer Aspire R7-571G-53338G75ass with a 24-month "Pick-Up & Return" warranty as well as a 12-month "International Travelers Warranty". 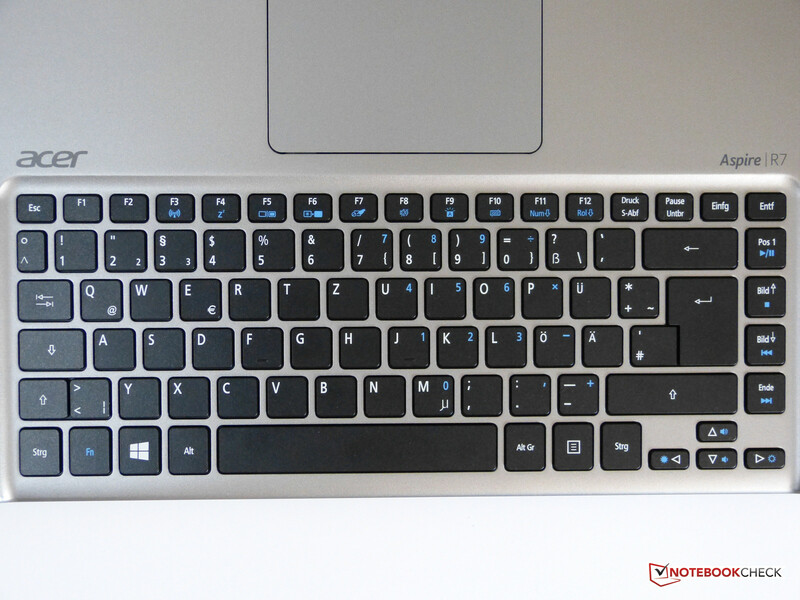 The keyboard of our review model is - except for the space bar - very decent. The click point, key travel, and feedback are convincing and typing on the keyboard does not require any major adjustments. The layout is a bit unusual: the distance between the number-symbol and the Enter key (note: the German keyboard layout differs from the US version) has been decreased, and the arrow keys are half the height of the other keys. 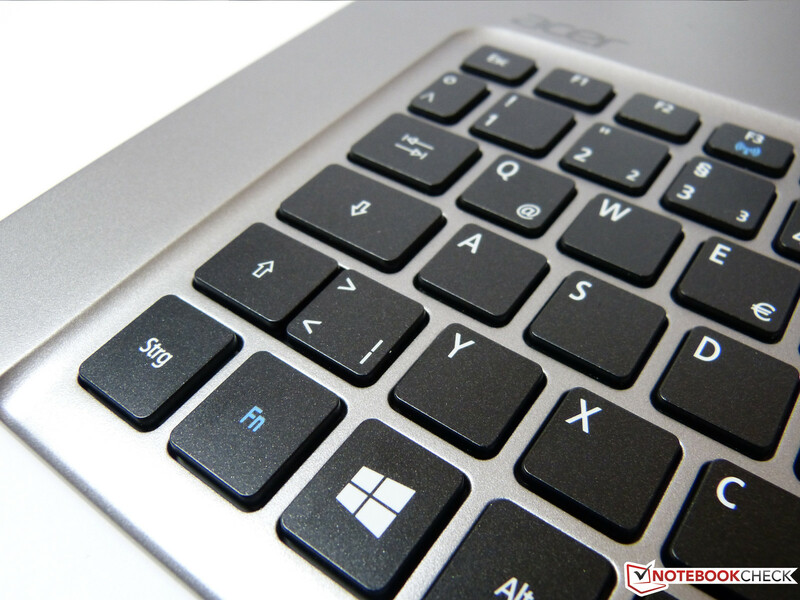 Acer does not include any superfluous keys; neither does it incorporate a dedicated number pad, so an external one needs to be purchased as an accessory if required. A thoughtful addition and also appropriate for the price is the white keyboard backlight, which features two adjustment levels. 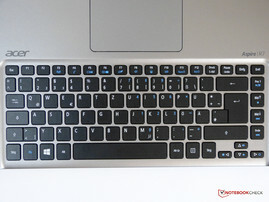 The positions of the keyboard and touchpad are quite strange, as they are simply reversed. The reason: the Ezel hinge allows the touchscreen display to be positioned forward of the standard position, which then covers up the touchpad. This allows the touchscreen, which is now in a more ergonomic position, to be used as the input device in lieu of the touchpad. The touchscreen works very well in this application and makes for a comfortable user experience. Using the convertible while on the road, for example on the lap, reveals a drawback: the keyboard is all the way at the front, which gets quite tiring after a while as the missing palm rest requires the user to hold the hands up in the air. This not only makes typing more difficult: the space bar, which does not react well to inputs to the left and right of its center and at the front edge, now often does not register inputs at all (see picture). 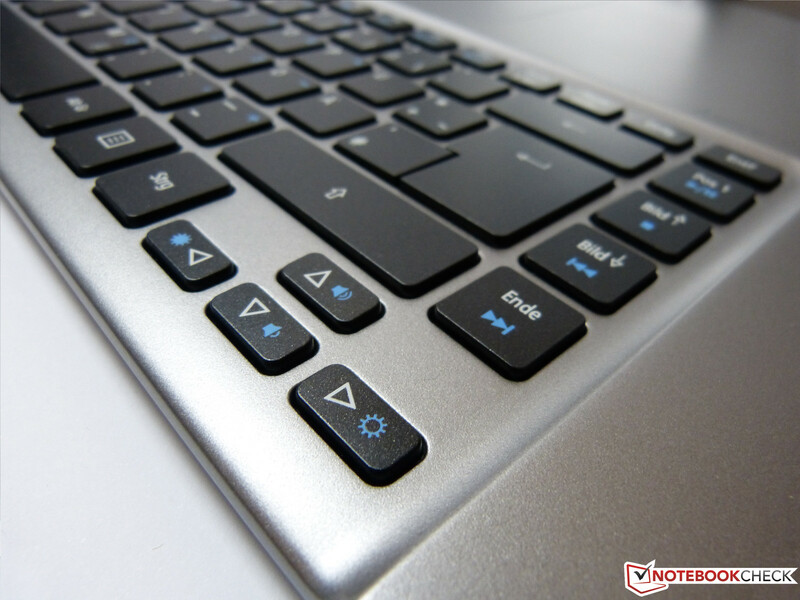 The touchpad, which is slightly recessed in the deck between the keyboard and the Ezel hinge, reacts well to inputs. The mouse buttons are not dedicated, but rather seamlessly integrated into the actual smooth touchpad surface on the lower edge. 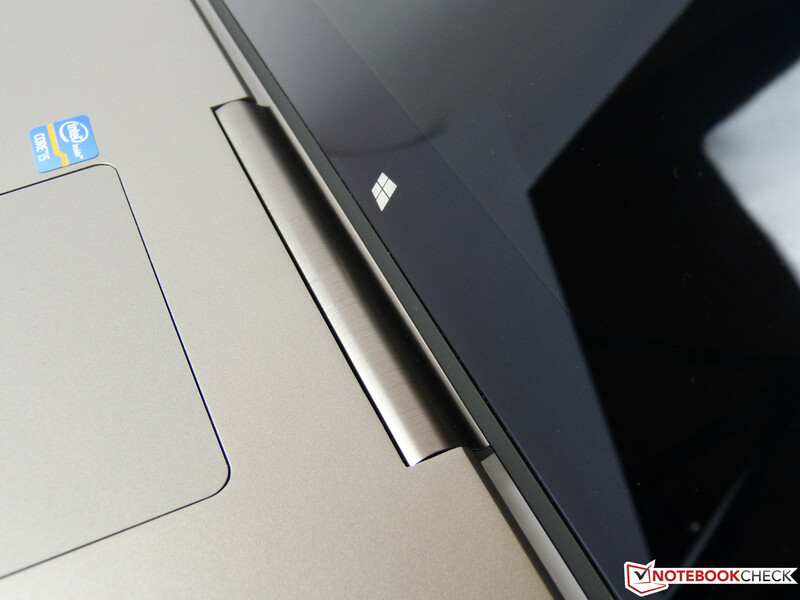 Double-taps on the surface do not always register, so we had to resort to clicking the actual touchpad instead. 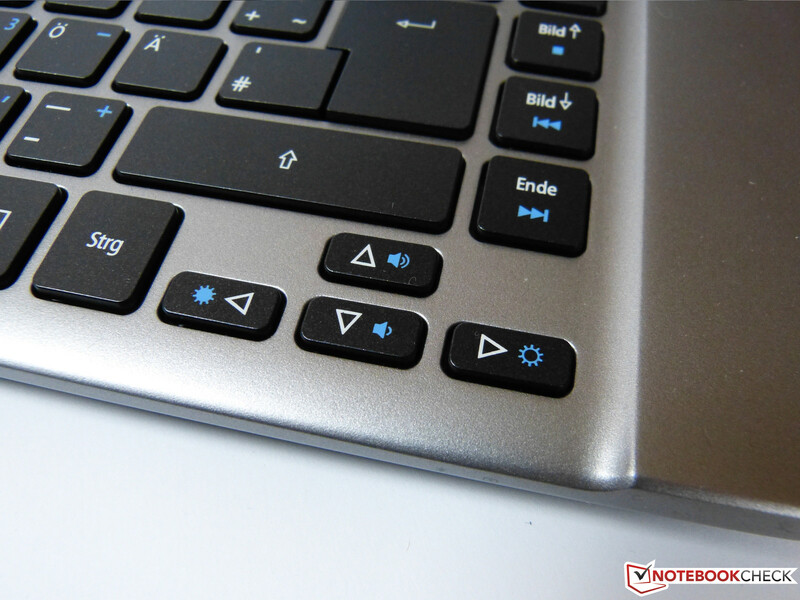 Clicking gets progressively harder the closer one moves upwards towards the hinge, but this should not be an issue since most users will intuitively click the lower left hidden button of the touchpad. Just like all other convertibles, Acer outfits their model with a touchscreen. The screen recognizes up to 10 fingers at the same time and, after some practice, registers inputs with very high accuracy. Even double clicks are not an issue. 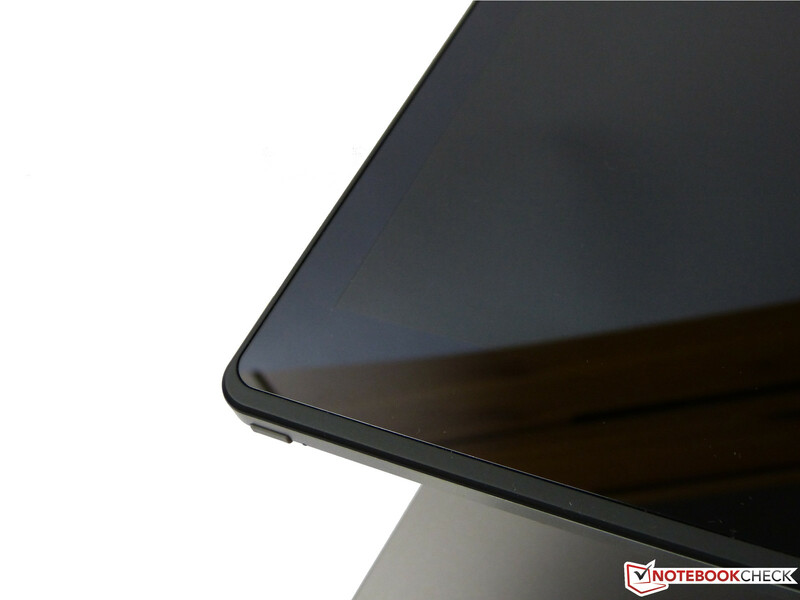 For even higher precision, Acer includes a stylus, which also works with smartphones and other capacitive displays. Before we take a closer look at the display, we should probably talk about the competition. 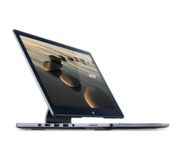 In this case, we primarily look for other 15-inch convertibles with high-resolution and high-quality displays. 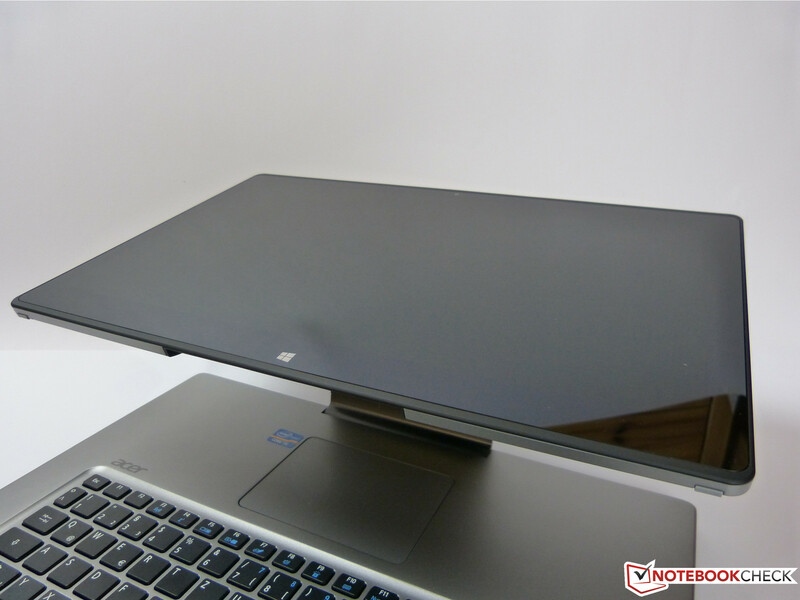 The Sony Vaio Fit Multi-Flip as well as the Lenovo Flex 15 are 15-inch systems equipped with a low-voltage processor and dedicated graphics card. Among 13-inch notebooks, the Lenovo Yoga series fits the bill, specifically the Lenovo IdeaPad Yoga 2 Pro as well as the Lenovo IdeaPad Yoga 13. 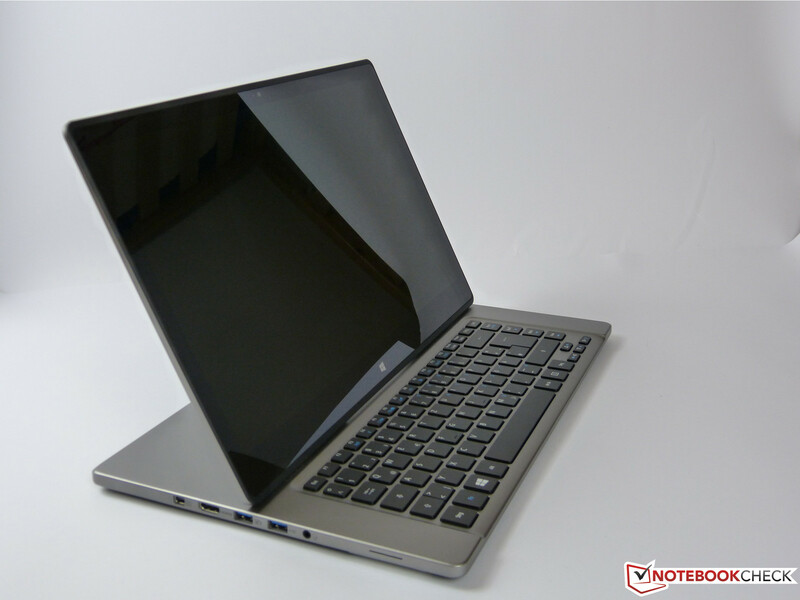 We will compare our review model only to the IdeaPad Yoga 13, since we have not conducted any reviews of the other notebooks. The Acer Aspire R7-571G uses a Full HD IPS-Display with an average brightness of 286 cd/m², which is quite bright when compared to less expensive panels. The average brightness distribution at 81% trails the Yoga 13's 87%. Despite the lower value, the naked eye cannot discern any irregularities here. 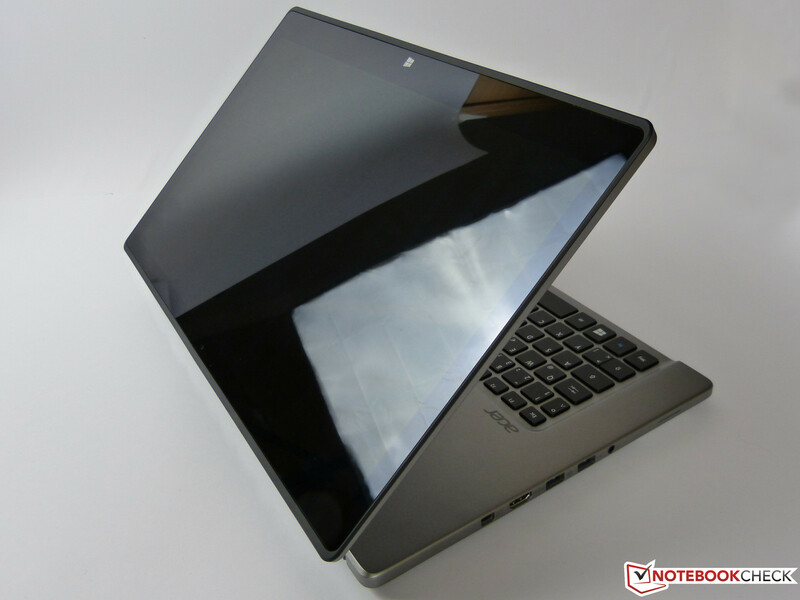 Both the black value and the contrast are also very good and ahead of the Lenovo IdeaPad Yoga 13. 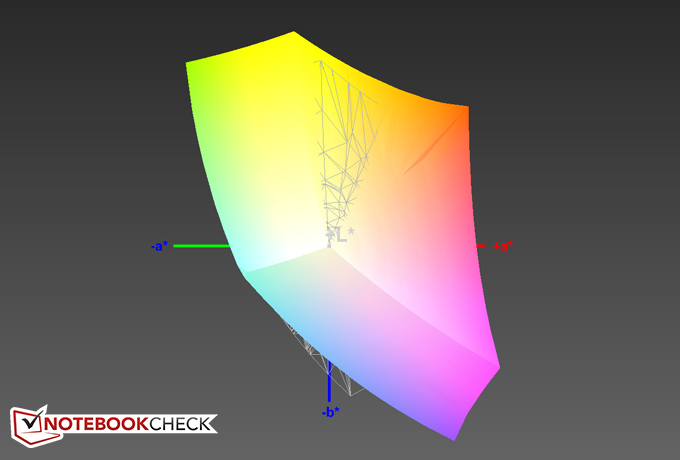 The color space of the R7-571G's display panel would completely cover the sRGB color space if its gamut was not shifted over towards yellow and red (see picture below). 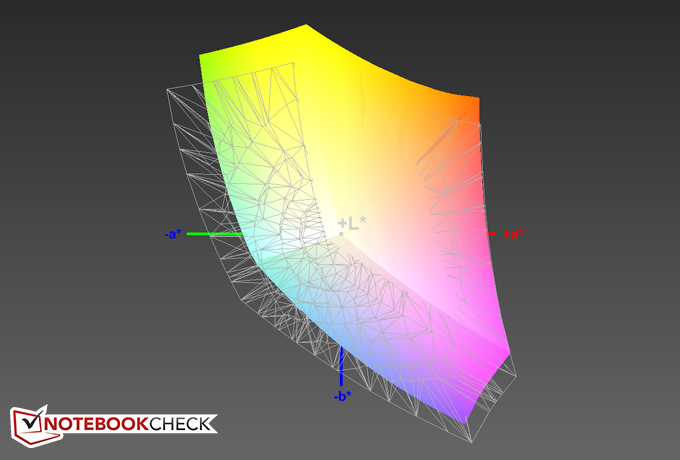 Taking that into account, our review model can still reproduce about 80.25% of the sRGB and about 59% of the AdobeRGB color space. The display gamut of the Yoga 13 and the R7-571G overlap to 97.11%, but the color space of our review model is significantly larger. We should mention that the coverage of the professional color spaces is normally only a concern for graphic artists and not normal home users. 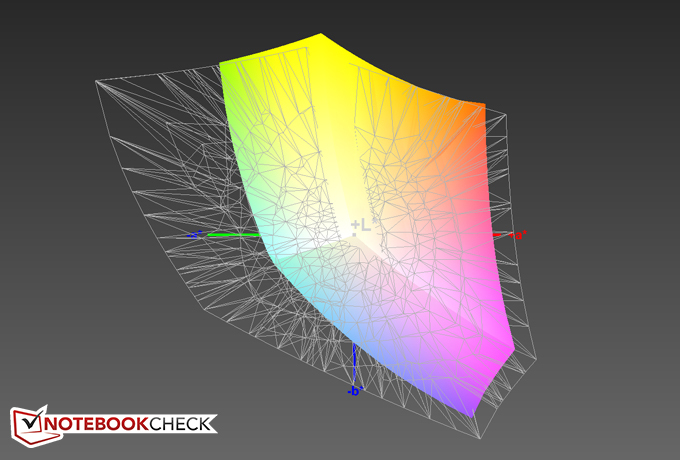 Color deviation from the ideal values is fairly well controlled. For the gray levels, we measured a maximum DeltaE of 5.85; the average is 3.92. While there is a slight difference between the actual and the displayed colors, the deviation is not noticeable during normal use. The average DeltaE deviation for RGB colors is about 4.5. The main culprit here are the blue tones, since their DeltaE maxes out at 7.532 here. This is very typical for displays with White-LED technology. Overall, the display measurements are average for an IPS display and neither noticeably high or low. Considering the fact that the display achieves a maximum brightness of 311 cd/m², outdoor use should technically be possible without major restrictions. Since the screen itself as well as the display bezel are glossy however, annoying reflections are unavoidable on bright days. The screen content remains readable even in brightly lit environments- unless the display is subjected to direct sunlight. 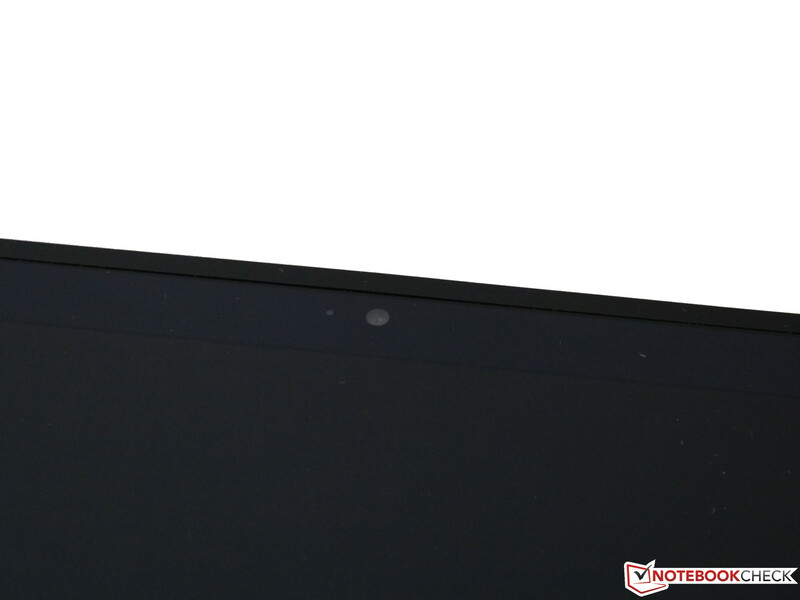 Typical for panels with IPS technology, the viewing angle stability is impressive and the picture darkens very little even at fairly extreme angles. 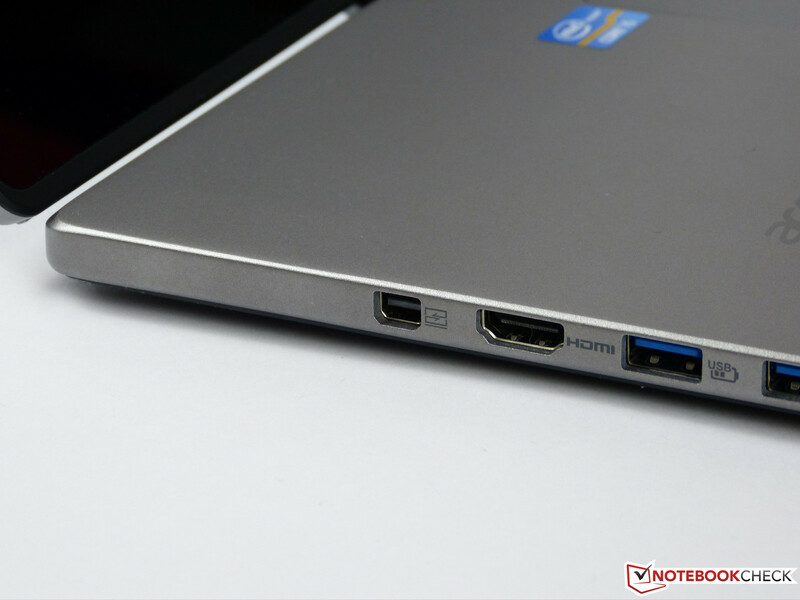 Our review model is equipped with an Intel Core i5-3337U processor, an Nvidia GeForce GT750M graphic card, as well as 8 Gigabytes of DDR3 SDRAM. This combination is an uncommon combination, as the GT750M is an upper middle-class graphics card, but the i5-3337U is a low-voltage processor. We are eager to find out if the GPU is going to deliver maximum performance even though it is paired with a comparatively slow CPU and if the overall performance suffers as a result. Although the Intel Core i5-3337U is one of the better low-voltage CPUs, it still cannot come close to the performance of a "traditional" CPU like the Intel Core i5-3210M. The reason for the performance gap is, among other things, the comparatively low base frequency of 1.8 GHz per core, which can overclock to 2.5 Ghz and 2.7 GHz (both cores / single core) using Turbo Boost. 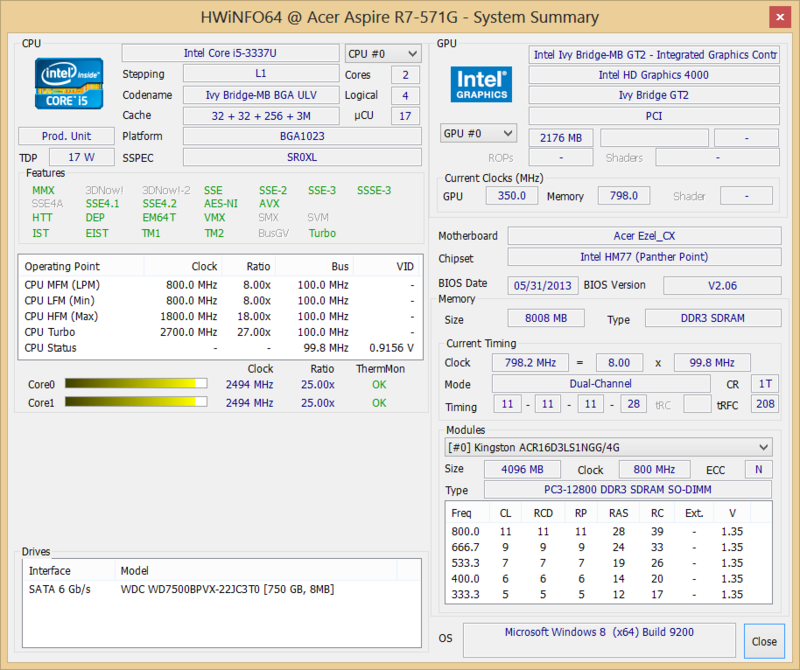 Even so, the Ivy Bridge processor is far from a speed demon. 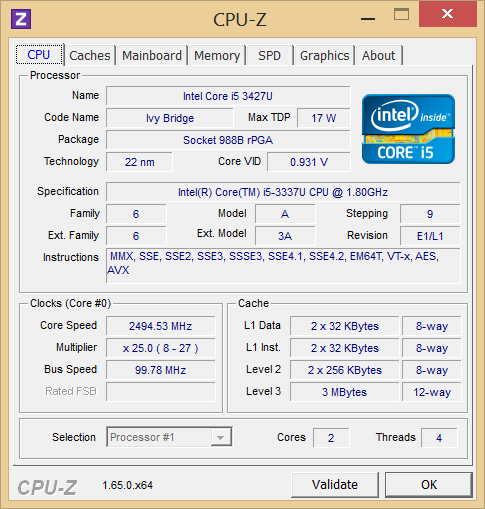 For detailed information about the CPU, please check our hardware section here. The CPU comparison using the Cinebench 10 and 11.5 benchmark tests shows the i5 in our Convertible to either score in the upper range or ahead of other systems with the same processor. This is largely because the comparatively larger form factor of the notebook allows for efficient cooling. 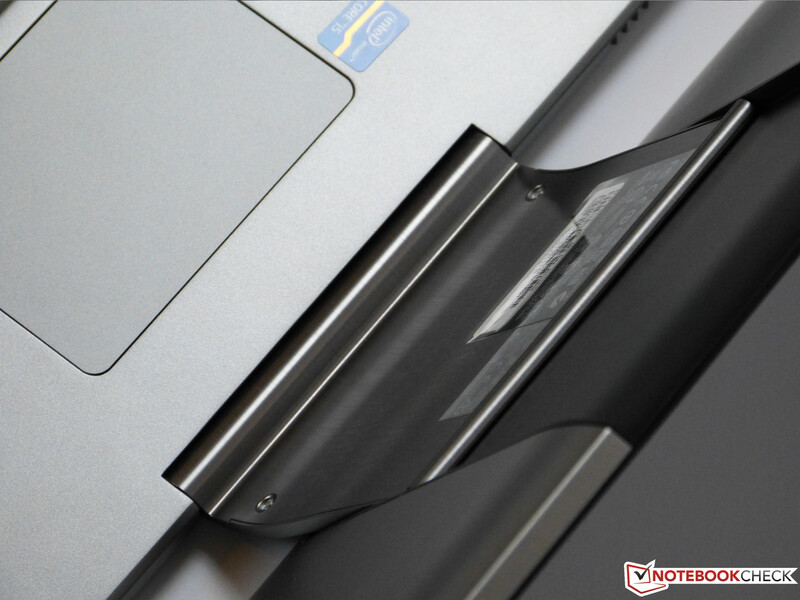 In some cases, our review model trails other systems by only 1%, in some instances, the other notebooks only manage to deliver 73% of the performance (MSI S20-i541 Ultra-Slider 1.82 vs. 2.48 points; Cinebench R11.5 CPU Multi 64-bit). 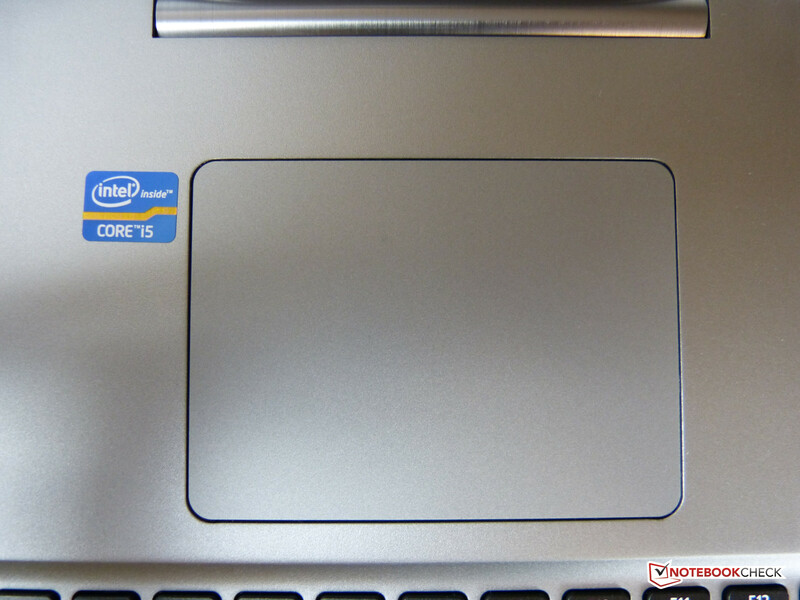 We are more than happy with the CPU performance - the i5-3337U performs as well as it can in the R7-571G. We did not observe throttling or other heat-induced issues. In order to measure overall system performance, we use the tools PCMark Vantage and PCMark 8. Compared with competing systems, our convertible scores towards the lower end of the field. The culprit is easy to find. Many of the competitors are equipped with SSDs or at least feature SSD cache, which are much faster than conventional hard drives. 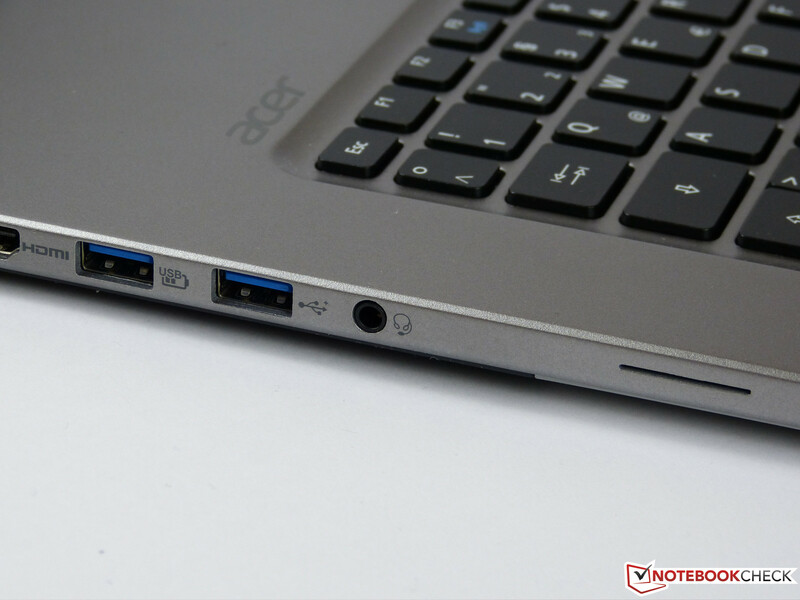 A useful comparison is therefore only possible with the Acer Aspire V5-573G, equipped with the Intel Core i5-4200U and the same GT 750M, as well as the Aspire V7-582PG, which has a higher-end processor (Intel Core i7-4500U). 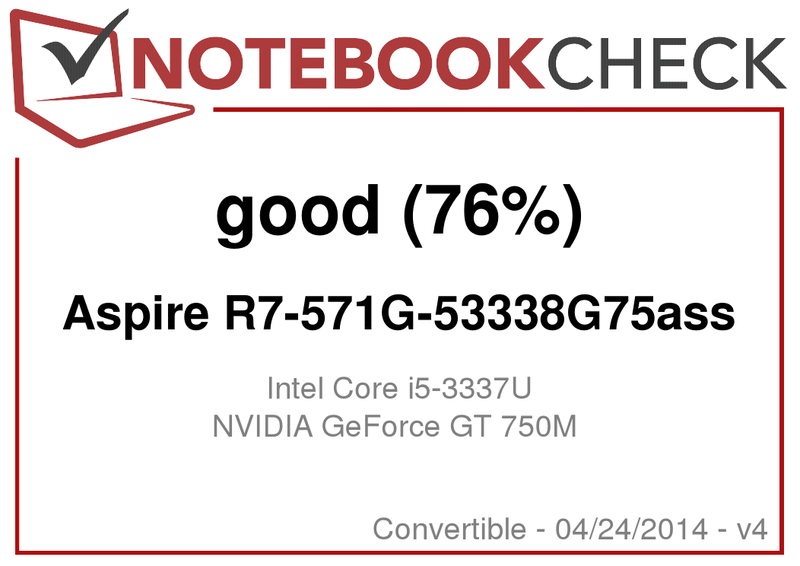 Although the former notebook only delivers about 80% of the performance the review convertible is capable of, the latter outpaces the R7-571G nearly 2.5-fold in the productivity sub-section. We suspect that the hard drive in the R7 is slower than the one Acer uses in the V7-582PG - but more on that in the following section. Even though the 750 Gigabyte, 5400-RPM hard drive in our review model does not perform as well as the model installed in the Acer Aspire V7-582PG, HD Tune attests an average transfer rate of 88.6 MB/s, which is towards the top of the charts for this type of hard drive. The same is true of the access time of 16.4 milliseconds. 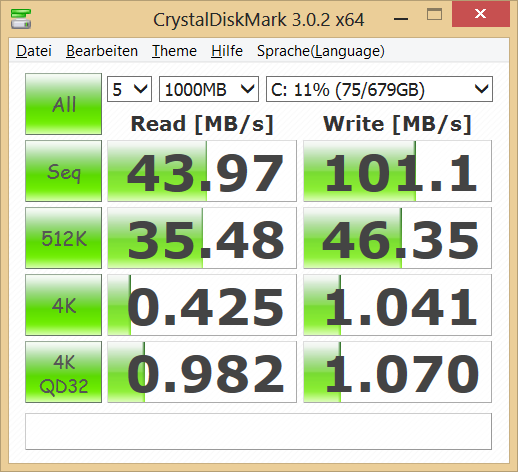 CrystalDiskMark confirms the results, although the drive performance is more middle-of-the-field according to this benchmark. 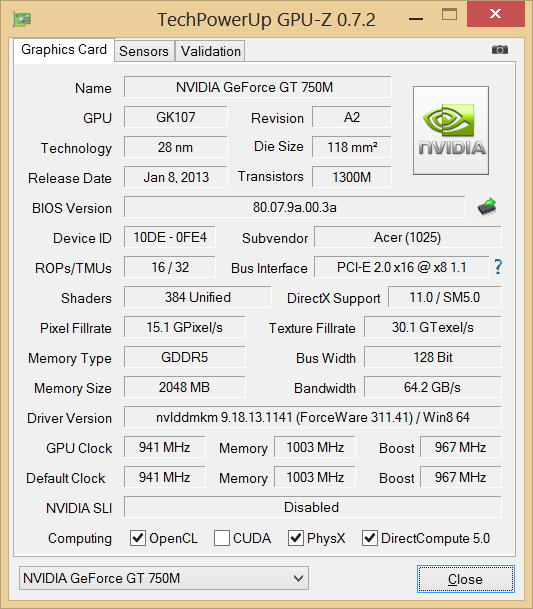 The R7-571G can either make use of the dedicated Nvidia GeForce GT 750M or the processor-integrated Intel HD 4000. Nvidia's Optimus technology allows automatic switching between the power saving internal and the high-performance dedicated GPU. The combination of low-voltage CPU and an upper middle-class graphics card is, especially for convertibles, rather rare. 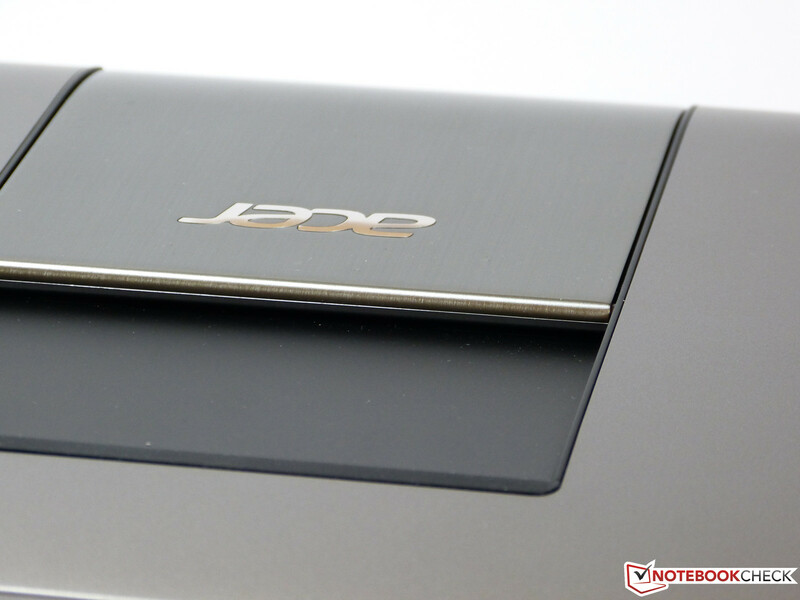 Similar from a hardware standpoint are only the Acer Aspire V7-582PG and the less powerful Aspire V5-573G, which both use the GT 750M and Intel Core i7-4500U and Core i5-4200U CPUs, respectively. Our review model outscores the mentioned competitors in all graphic benchmark tests: in certain tests, the other systems only reach about 80% of the R7's score. The only exceptions are the physics benchmarks, as the processors of the V7 and V5 are more powerful. With PhysX turned off, the 3DMark Vantage GPU benchmark shows the performance to be ahead of other notebooks with more potent CPUs (One K56-3F: Intel Core i7-4700MQ, GT 750M, 8220 vs. 10078 points). Given the scores, the notebook performance here is decidedly above average and more than meets our expectations. Gaming performance is also more than adequate: despite the comparatively weak CPU, the R7-571G outperforms notebooks with the same GPU and better quad-core CPUs when playing Metro: Last Light as well as Tomb Raider - at least when the settings are not on ultra-high. Things are a little different when playing GRID 2: even though the convertible handles the game well at medium and high settings, the One K56-3F (Intel Core i7-4700MQ, GT 750M) can take advantage of its more powerful CPU here and is about 20% faster. The Acer Aspire R7-571G can play most modern games at decent frame rates thanks to its dedicated GPU. This requires the settings to be lowered to high or medium, however. During idle, our review model is very quiet at 31 dB(A) and the fan stops spinning for periods of time. When the workload increases, so does the fan speed and consequently the noise level as well. We measured a maximum of 44.1 dB(A), which is relatively loud, but not overly annoying. We did not notice any unusual chirping or high-frequency sounds during our time with the notebook. Because of the dedicated graphics card, our review notebook reaches relatively high temperatures during our stress test. Especially on the bottom and towards the rear, where the cooling fins are located, the R7 gets uncomfortably hot at up to 51.7 degrees Celsius (125.06 degrees Fahrenheit). Even during more normal, but resource-intensive load levels, the convertible gets quite warm, limiting how long it can be held comfortably. During idle, the notebook is slightly warm at 32.1 degrees Celsius (89.78 Fahrenheit), but does not get unnecessarily hot. During our stress test, neither the GPU nor the CPU was hampered by throttling, although the processor remained at the nominal frequency of 1.8 GHz. The "Dolby Home Theater" speakers of the R7-571G are located on the bottom of the base unit. When the notebook is sitting on a flat surface, the sound is directed downwards - although the quality is not affected; especially the highs are solid. 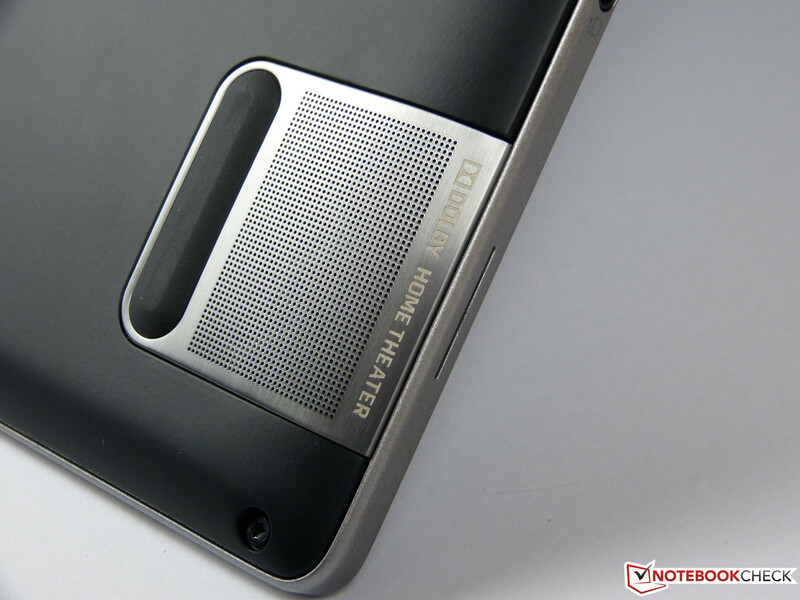 The R7 handles bass-heavy music less well than the multimedia competition, as the notebook is missing a subwoofer, which can be easily plugged into systems like the Asus N750JV, for example. Since there are not many similar competitors with identical hardware, it is hard to compare the power consumption. 9.5 Watts during idle is comparatively frugal for a 15-inch system, however. Under full load, the R7 requires up to 84 Watts (stress test). The Sony Vaio Fit 15 with Intel Core i7-3537U and GeForce GT 735M needs only 49.7 Watts, the Acer Aspire V5-573G (Core i5-4200U, GT 750M) a maximum of 77.3 Watts. 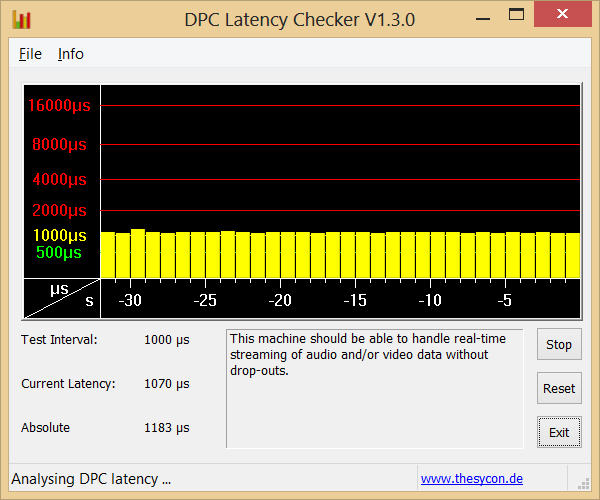 The V7-582PG (i7-4500U, GT 750M) also has a similar power draw at 68.5 Watts. 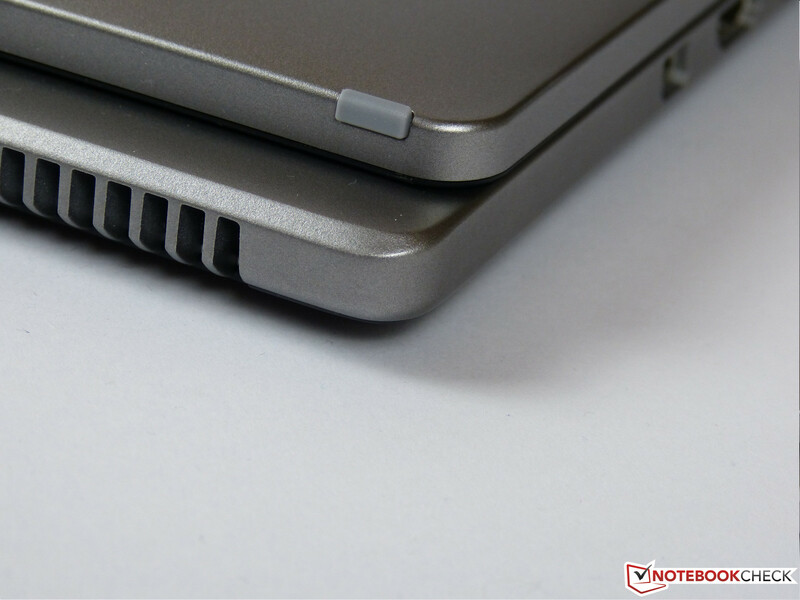 Our review notebook thus suffers from an above-average power consumption under load. During the Battery Eater Classic Test, which taxes both the CPU and the GPU, the R7-571G lasted for a very good 2 hours and 8 minutes. 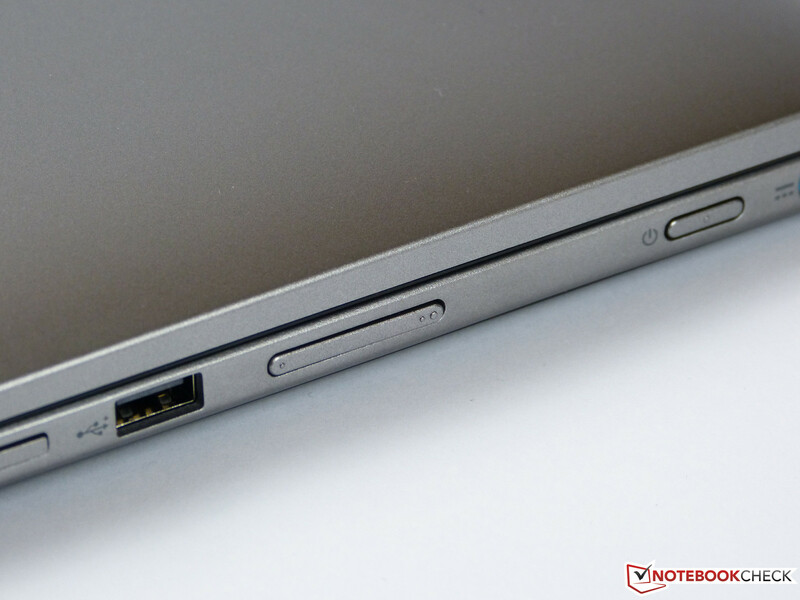 The main competitor Lenovo IdeaPad Yoga 13 managed 9 minutes less. We use the Battery Eater Reader's Test to check run times during idle. 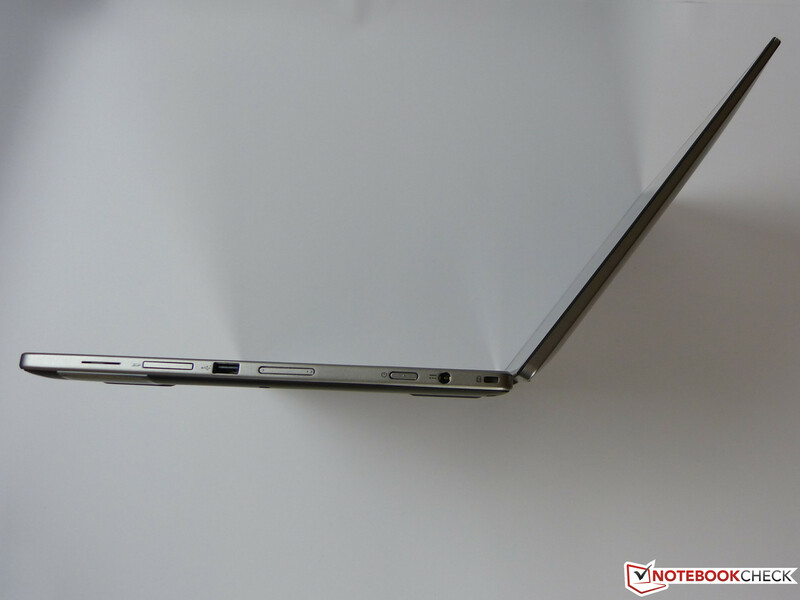 During this test, our review notebook shut down after 4 hours and 5 minutes, which is far from stellar and falls short not only of the IdeaPad Yoga 13 (6 hours 25 minutes), but also many other 15-inch notebooks. We had to move the R7 close to our router for the WLAN test to avoid connectivity issues. 3 hours and 24 minutes are pretty average, although most 13-inch notebooks including the IdeaPad Yoga 13 do much better here. Acer does many things right with the Aspire R7-571G, but also falls short in other areas. Both the Ezel hinge and the IPS display are worthwhile additions, but the sub-par reception quality of the WLAN module is an issue - especially since an adapter is required to use an RJ45 cable connection. 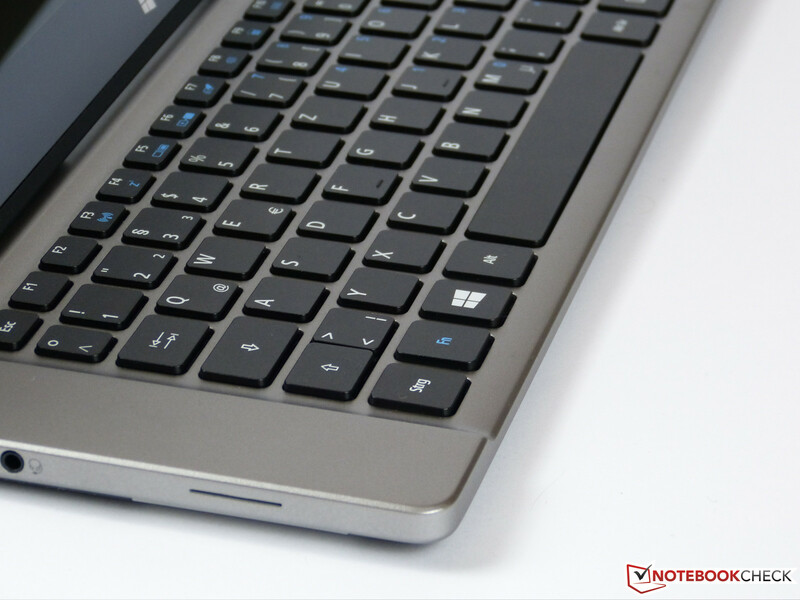 The idea of swapping the position of the touchpad and the keyboard is actually a good one, especially when the display moves as it does here with the Ezel hinge. Maybe the designer should have found a way to compensate for the missing palm rest, however - and a space bar that only recognizes 50% of the inputs is definitely not the solution. Those issues aside, we give the keyboard of the R7 a good to very good rating. 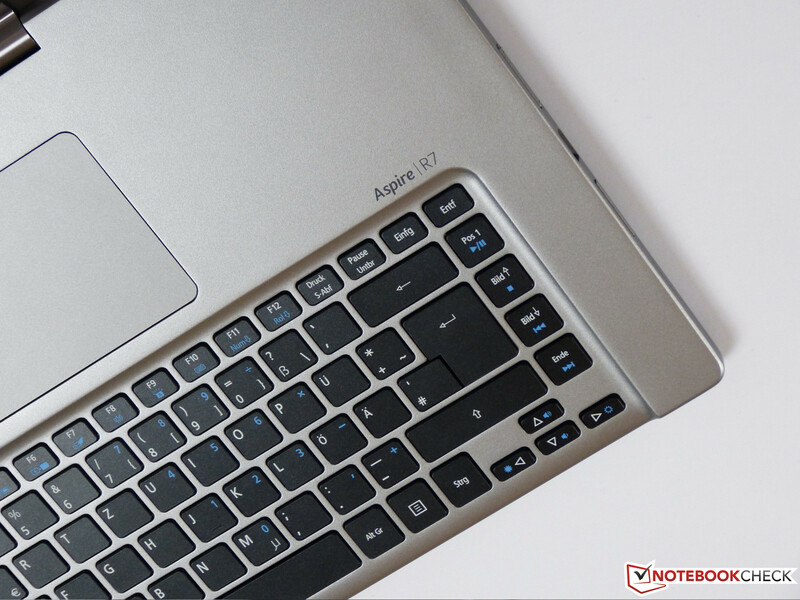 The battery life is decent enough when compared to other 15-inch notebooks; for a truly mobile companion we would like to see a few hours more. The convertible, which retails for around 900 Euros (~$1250), performs well and the build quality is top-notch. While the problem with the space bar might be isolated to our review unit, the various forum posts paint a pretty clear picture as far as the WLAN issue is concerned. Unless Acer manages to fix the problem, we cannot fully recommend the convertible, since connections via wireless are more or less status quo today. 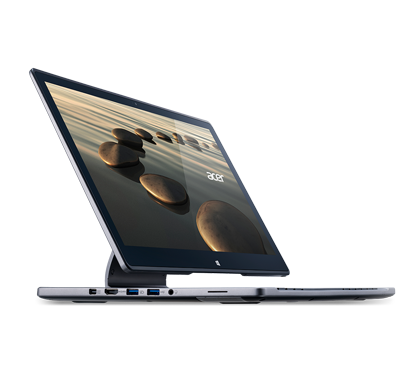 Aside from this problem, Acer's Aspire R7-571G is a very nice and innovative convertible design. ...allows an (almost) infinite number of positions. ...but the display can also be used in an elevated position. The touchscreen is more ergonomic that way. ...and the keyboard are reversed. ...does restrict how far the display tilts back. ...which are possible because of the hinge design. ...although the volume control leaves something to be desired. works well and is easy to type on. ...overall heat dissipation works well. ...is comparatively difficult to open. Great touchscreen functionality, very good sound. A wireless module without connectivity issues. The very useful and well-designed Ezel hinge.